March 9th: Linux version available. 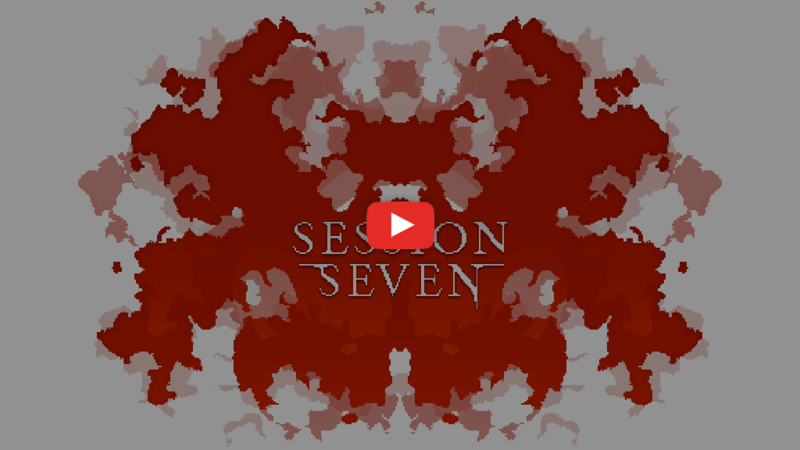 Session Seven can now be played on Linux platforms. March 1st: Session Seven was released. Head to the download section and start playing! 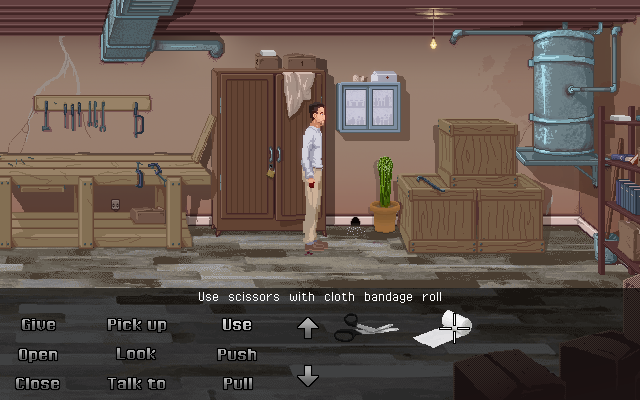 Session Seven is a free point & click graphic adventure game meant for fans of the old school 2D adventure game classics. We open sourced the game as well as its engine and interested parties can find the source code hosted at Github. Target platforms are Windows and Linux desktop PCs but there may be more to come. Experienced players should take about one to two hours to complete the game on the first try. The puzzles are chosen to be a good compromise between easy and hard to target both casual and expert adventure gamers. The game is the passion project of a game designer, a writer, and a musician, and we sincerely hope that you will enjoy your experience. Have fun, and good luck. You play as Ryan, an estranged father and husband who has just awoken, beaten, bruised, and alone in a locked cellar. Your head is throbbing, and you have only a few vague, twisted memories about how you might have gotten there. Armed only with the sparse tools around you and the strange, possibly dark mementos you find along the way, it is up to you to find out what happened and escape the basement. Your life is not the only one on the line. Your wife and son may be in danger too. Through a series of puzzles and player-directed flashbacks with an unidentified therapist, you decide how Ryan's story ends... and how it began. It is vital that you find your way out, but it is just as important that you figure out how you got in. 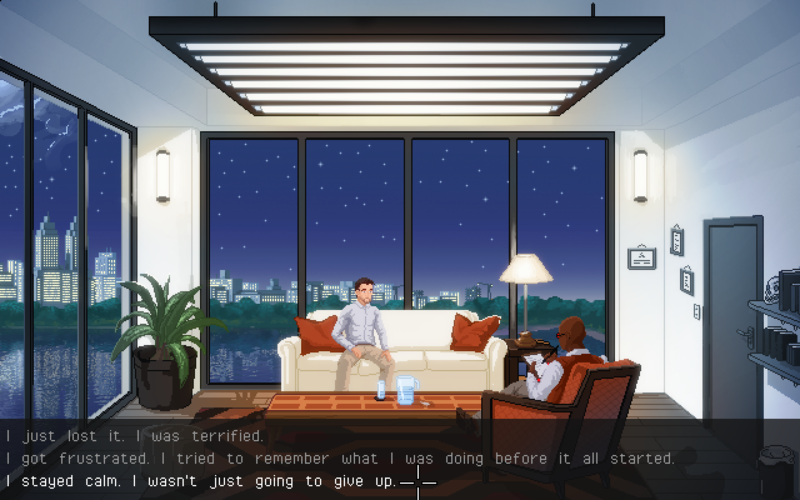 Session Seven is a point-and-click adventure and an interactive story, and there are multiple directions in which the player can take their narrative. In this section you can find some in-game screenshots and a trailer. The game is being developed by only a small handful of people scattered across the globe. If you want to get in touch with one of us, please click on the envelope icon in the right column. Session Seven can be played on Steam, but we also provide a ZIP file to download.